This was our second of back to back room experiences at Mastermind in St. Louis (take note that there is also a Mastermind in St. Charles that is operated by the same company). We were well warmed up for the adventure, but even that could not have prepared us for what was in store in this room. Mastermind has a very user-friendly website with all the information laid out for you clearly and in an orderly fashion. Take special note of the parking and location information as it is in the heart of downtown. We attended on a Sunday morning and still had some difficulty with parking, so give yourself plenty of time to get there and get settled. The building itself is rather nondescript and largely empty of other tenants. Good signage exists to get you to the right place once you have found the building. The Secret Society room features low lighting (by design) and mostly wooden interior. The furniture and props were pristine – as if they had never been used before. Each element of the room came across as either custom made or meticulously maintained. From the moment the door closes, the room reaches out and captures your imagination. 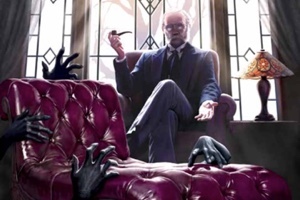 It’s a fairly clever way to justify a room full of puzzles – the story tells us we are being groomed for a secret society and they are testing us to see if we are worthy of entry – so it never feels out of place to be solving riddles and finding codes. There is great use of technology to enhance this immersion as well. It left us legitimately wondering if there was a real secret society recruiting us. The puzzles were varied in both their difficulty and creativity, many combining elements of the room in a unique way that flowed very well from one to the next. Perhaps it was our specific experience in the room or the design itself, but the puzzles ended up getting to a linear state fairly early in the process. All rooms eventually get there, but for us we were left with one focal point and an inability to involve all seven of us. The final payoff was a little anticlimactic compared to the rest of the room as well. It’s hard to imagine any group not enjoying themselves in this room unless the puzzles prove too difficult, which is possible. 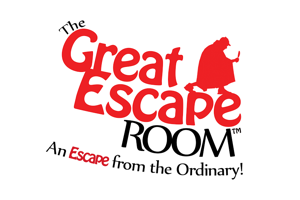 If you have a larger group, some members may feel left out of the puzzle solving as it gets more linear, so larger groups should investigate the head to head option available with this room. That would also be great for companies looking to do some team building in a slightly competitive environment. This is a great room for experienced escapers. The GM recommended groups of 5-6 for this room and we cannot disagree. If you find yourself with many more than that, split up and go head to head to increase your urgency. All in all, this is one of the better rooms available in the St. Louis area, particularly if you’ve done a few rooms in your life. Beginners might want to work their way up to this one.